Clay Aiken – He’s Got Rich Pipes! Do you remember the AI Christmas Show in 2003? The holiday special taped on October 30, 2003 and aired on November 25, 2003. 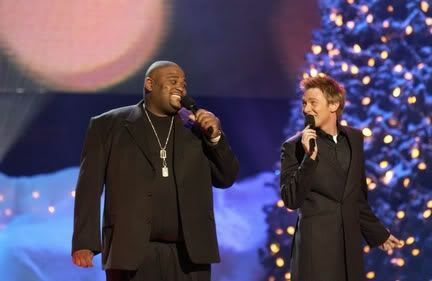 It featured American Idol finalists Clay Aiken, Ruben Studdard, Kimberley Locke, Tamyra Grey, Christina Christian, and Kelly Clarkson. The show also included the American Juniors. The hour-long show showcased the idols singing various Christmas songs as solos, duets and group numbers. 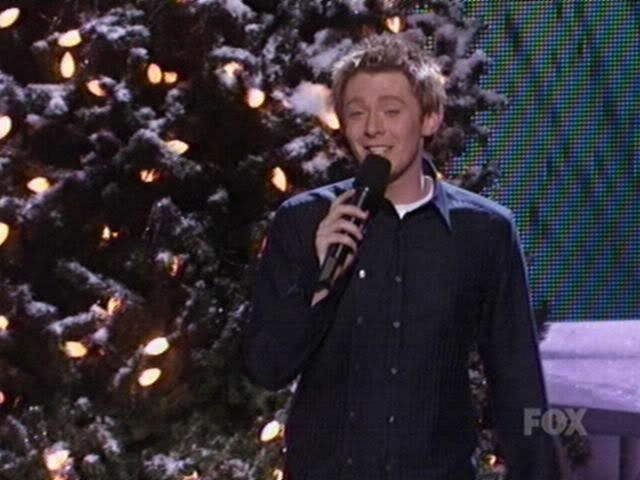 Clay Aiken hosted the evening show. Coming off the popular Season 2 of American Idol, the show was popular and the TV audience was large. The show was reviewed by most of the well-known entertainment critics and, as always, their opinions varied as much as the performances by the entertainers. 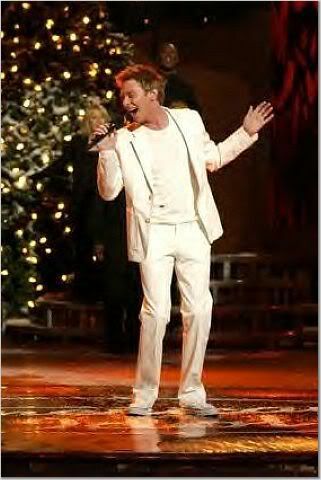 Second season runner-up Clay Aiken MCs most of the show and proves he has so much more stage presence than Ruben Studdard, who won Idol 2. Aiken’s rich pipes are also very well suited to holiday classics. Clay will do plenty of singing as well. 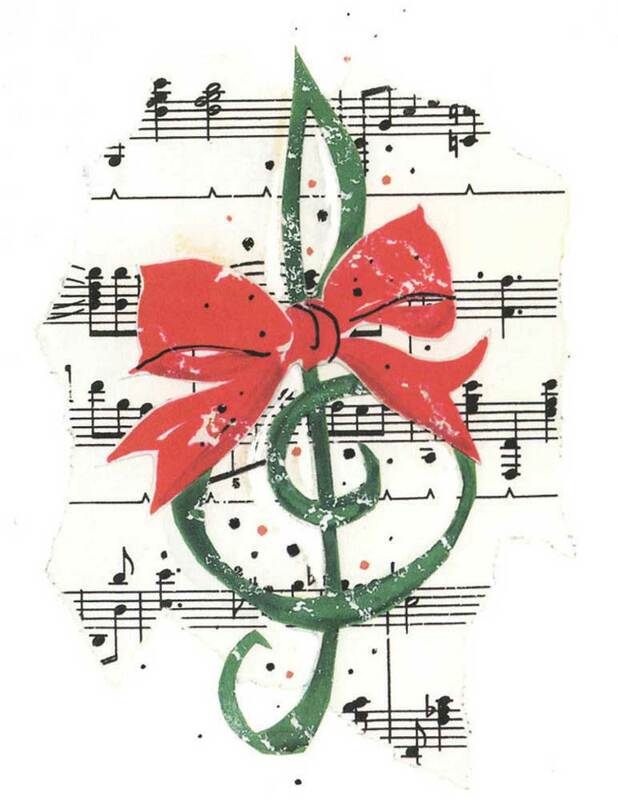 He’ll start with ”Don’t Save It All For Christmas Day,” a tune originally attempted by a chanteuse who shares his melodramatic bent, chest-thumper Celine Dion. The Clayster will also belt Irving Berlin’s classic ”White Christmas” with Kimberly Caldwell, and will chime in with ”The First Noel” during a show-closing medley of standards. I don’t know the author of this review, but Caldwell instead of Locke?? OPPS!! I do remember watching the show. There are two things that I remember. First, who had the “brilliant” idea to put Ruben in a White, fur-trimmed Parka? Under the hot, bright lights, it must have been very uncomfortable. Secondly, and the best of the evening, I heard Clay sing Don’t Save It All For Christmas Day for the first time. I had never heard the song before and his performance was amazing. Did you watch this show on TV? Just a quick reminder…don’t forget to watch Clay on BOLD today. I have the highlights of this show on my YouTube account! Watch it every year, along with his other Christmas concerts! Thanks CANN! Like any good Clay addict, I watched & taped the AI Christmas special. The best Christmas song rendition in the world is Clay doing “Don’t Save It All For Christmas Day.” I thought it was a new song.I remember thinking that Clay should be doing more songs. Who were all those other people anyway??? It was bad enough for Entertainment Weekly reviewer to use the word “preternatural” but when they used “chanteuse” …well, was I the only one who had to get a dictionary??? You could see Rueben sweating in that parka. That was mean. I watched BOLD this morning. Sometimes I have trouble getting Bold. Finally had success with Periscope…& OMG! Is that another new hairstyle? He always keeps me guessing. That e subject was good as I am one of those Medicare Advantage people they were debating about. Good show. I’m always so happy when I open the email program & find a new CANN post! You’re a good person music fan. There Christmas videos were perfect. Anxiously awaiting the next post. ❤️ UNCONDITIONAL love for you Clay. Since I had cancer that spring and had not kept up with Clay,(since I was so sad that he had lost), I really want to see it. The rest is history as after I heard that beautiful voice… I was hooked! I had forgotten about this show. Clay was certainly the star of that show. Some of the girls were"interesting." Thanks for the pictures and videos. It's fun to remember. I waited anxiously that evening for the show to start. I was so surprised and thankful that Clay was the 'host'. Didn't know at the time that Justin was the original pick to fill that spot. So glad the world got to see how comfortable and able Clay was to handle the hosting, singing & dancing that evening. I saw Clay on some program a few years ago telling how the Christmas program was taped at Halloween. It aired on his birthday…11/30/2003. Love seeing these videos. I do remember seeing this on TV. Error: Error validating access token: Session has expired on Tuesday, 21-Aug-18 16:13:01 PDT. The current time is Friday, 26-Apr-19 01:00:52 PDT.